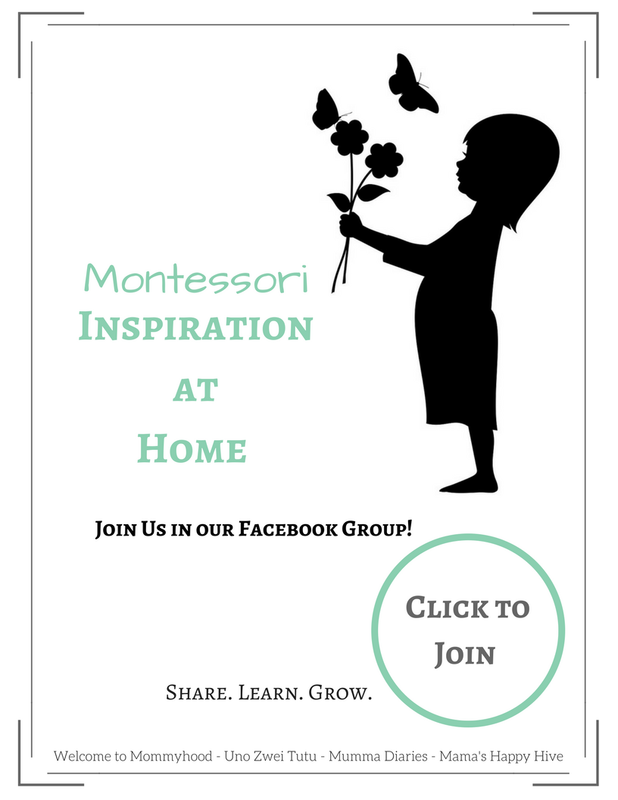 In my humble opinion, the best part of Montessori education is allowing the child to be as independent as possible. The caregiver can foster this independence in their child by allowing them to participate in the functions/work of the home, remaining positive even if the child creates what we would consider a mess, and preparing the environment for the child to be able to care for themselves. 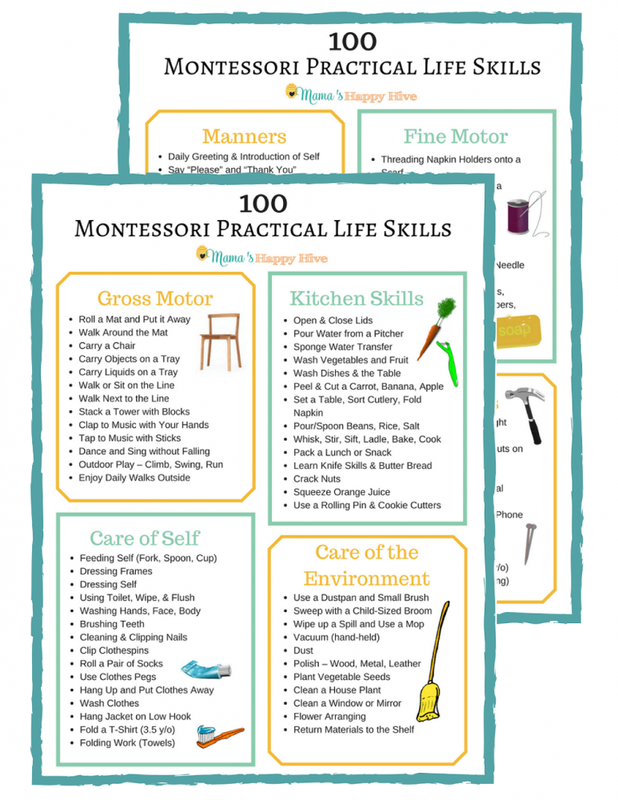 One of the best places in the home to practice independence is practical life for kids in the kitchen. The child begins to learn how to care for themselves when we allow them to feed themselves. Yes, your young child will create a mess with the food all over themselves and all over the table/floor. My motto since becoming is a mother is... "Embrace the mess!" They are only young once and the child takes such pride in being able to feed themselves. 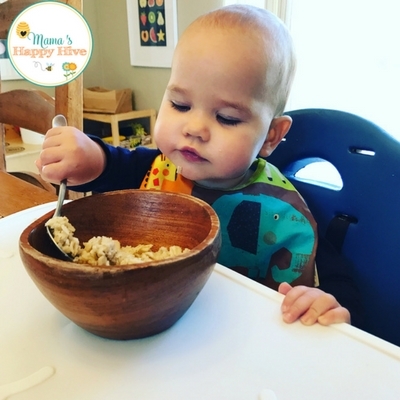 Some of the ways you can prepare the environment for the child to be able to properly feed themselves is to have a "weaning table and chair" or a chair that can be pushed up to the table. 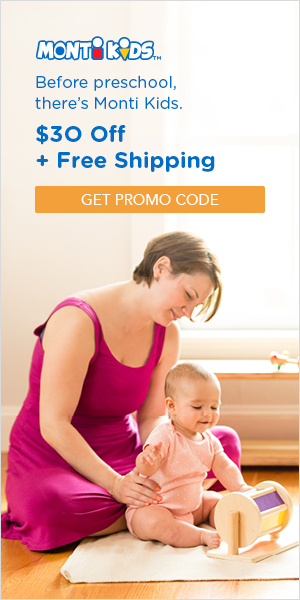 Provide your child with a child-sized utensil (spoon and fork), small bowl, and small cup. 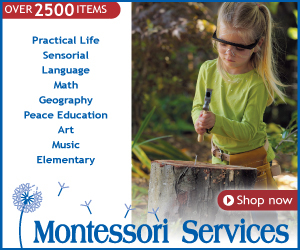 Provide your child with materials that are natural such as metal, stainless steel, wood, porcelain, and glass. 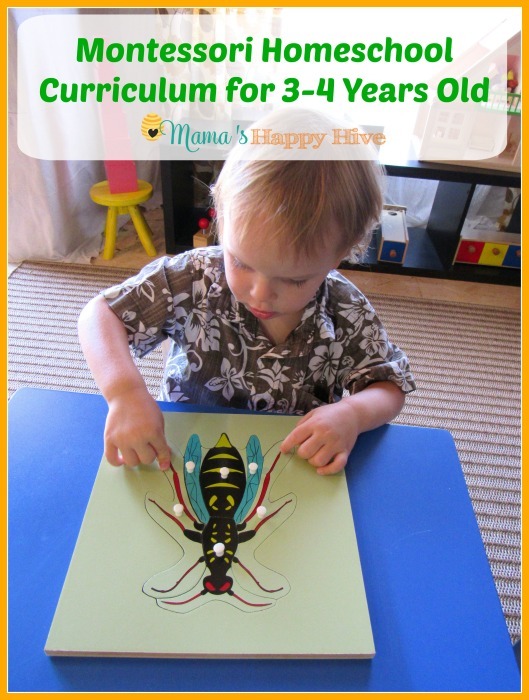 The child will begin to learn the value of these materials as they carefully use them. Invite your child to pour, mix, and stir food items in a bowl while you are preparing the meal. When the child is young, they take great joy in helping you prepare the food. 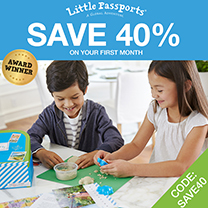 Provide the child with child-sized kitchen tools. I hope my son always loves to cook just like his Daddy! His wife will thank us one day! "The education of even a small child, therefore, does not aim at preparing him for school, but for life." 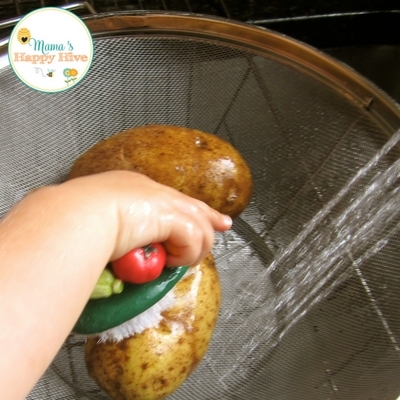 Invite your child to scrub and rinse vegetables and fruits. Provide a stepping stool for your child so that they can reach the sink. Give them a scrub brush or sponge that fits easily into their hand. You can cut a sponge in half to accommodate a small hand. "To assist a child we must provide him with an environment which will enable him to develop freely." Invite your child to prepare a meal for the family. The child learns by watching the caregiver. 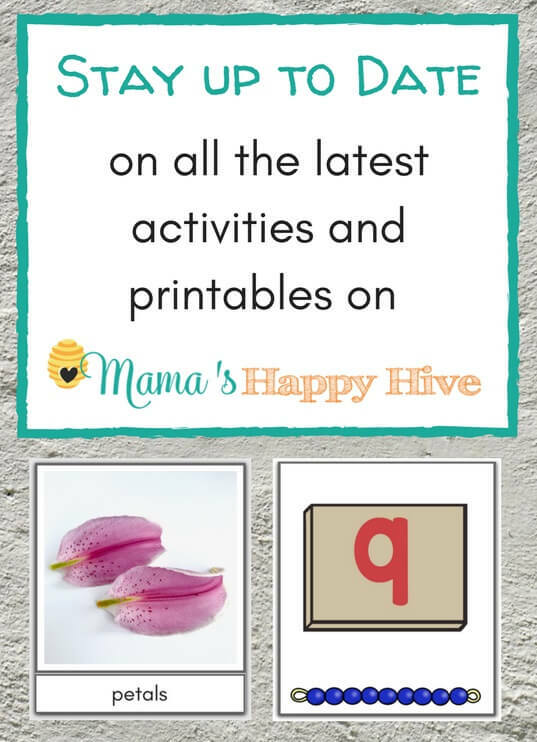 Invite the child to do small parts of the task and work along side you. As you see the child master the task, allow them to do the next one. Instruct your child about the dangers of cooking over a hot surface and then trust that your child is capable of navigating this challenge. "The essence of independence is to be able to do something for one's self. Adults work to finish a task, but the child works in order to grow, and is working to create the adult, the person that is to be. Such experience is not just play... it is the work he must do in order to grow up." 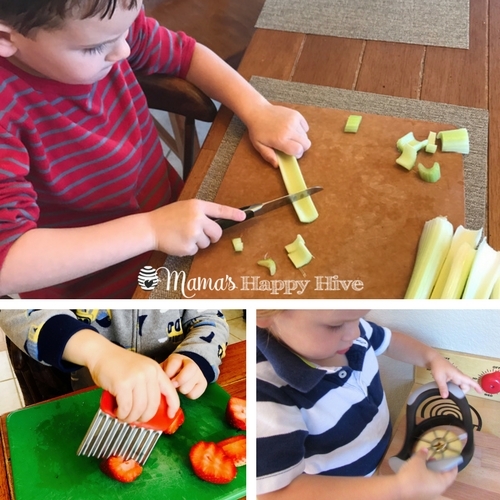 Invite your child to cut and chop food items for a snack or meal preparation. Start when they are young with soft foods (banana) and a butter knife. Then as you see their skill and confidence grow, allow them to use a sharper knife. 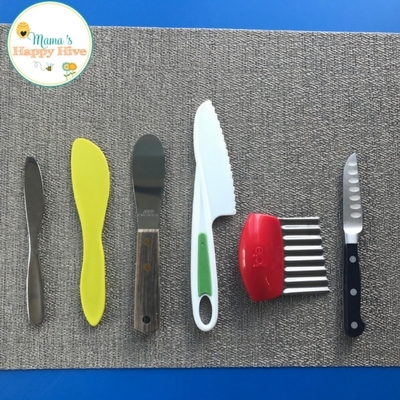 See the image below for the progression of knives we used from the age of around 1 years old to 5 years old. Always teach your child knife safety such as keep your fingers away from the sharp edge, cut down and away from your body. Use parental discretion with this activity and stay close by your child to ensure that they understand knife safety. The young child wants to help and do what the adult can do. If the child sees you treating an object (breakable plate, bowl, cup) with care, the child will also want to prove that they can do it too! 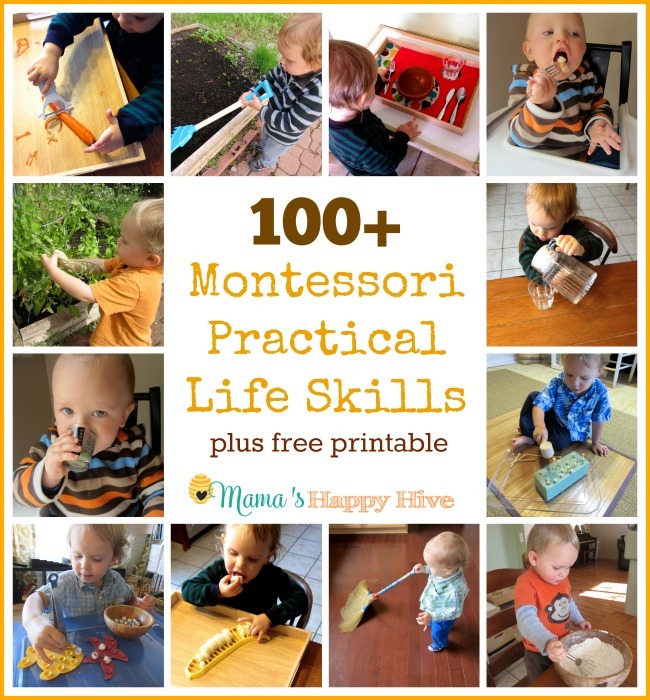 If a plate is dropped and breaks, let it be a learning experience for the child. Do not scold the child. Kindly invite the child to help you clean up the pieces. They will begin to understand that the plate has value and is lost if it is broken. 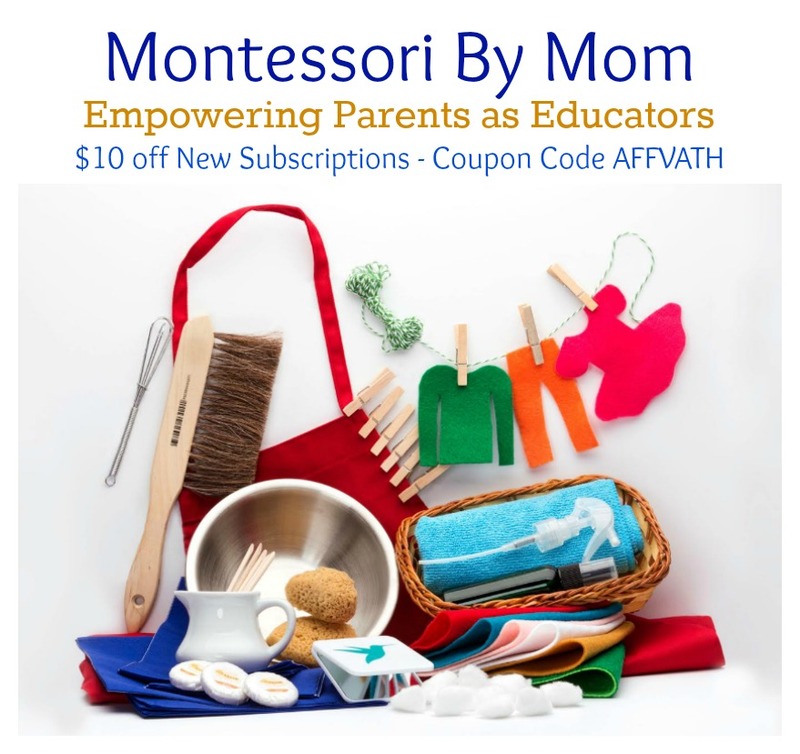 "The environment itself will teach the child, if every error he makes is manifest to him, without the intervention of a parent or teacher, who should remain a quiet observer of all that happens." 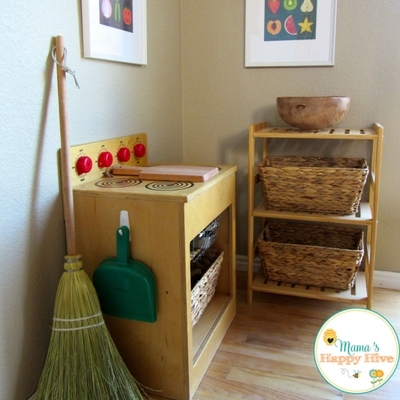 Prepare a special space in the kitchen that is child-sized and child accessible. This space can have child-sized cleaning tools, child-sized kitchen tools, utensils, bowls, cups, water (pitcher and cup), and child height surfaces for working. There is no right or wrong in setting up this space. The best thing you can do is "follow your child." 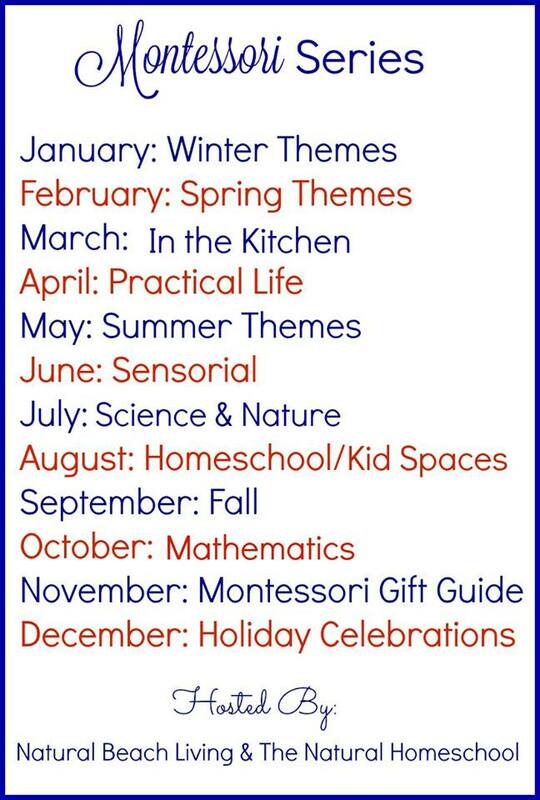 What interests does your child have while in the kitchen? Do you allow the child to have snacks? Leave accessible snacks in this area for your child to independently help themselves. My son is a very picky eater and if I invite him to prepare his own food, he is much more likely to eat it. 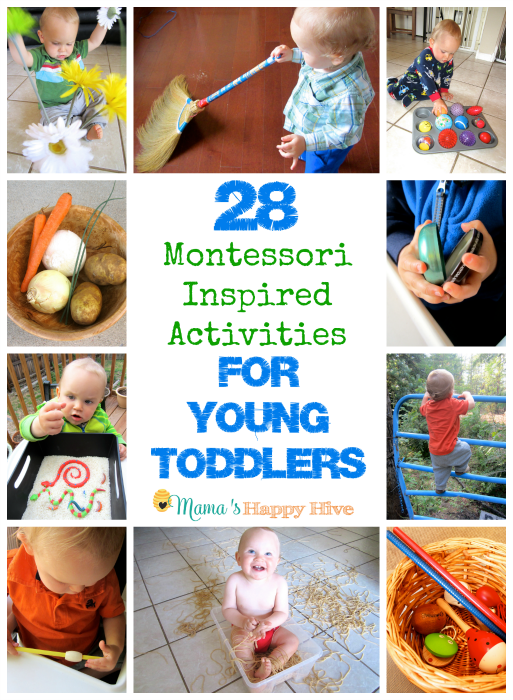 "Sometimes very small children in a proper environment develop a skill and exactness in their work that can only surprise us." 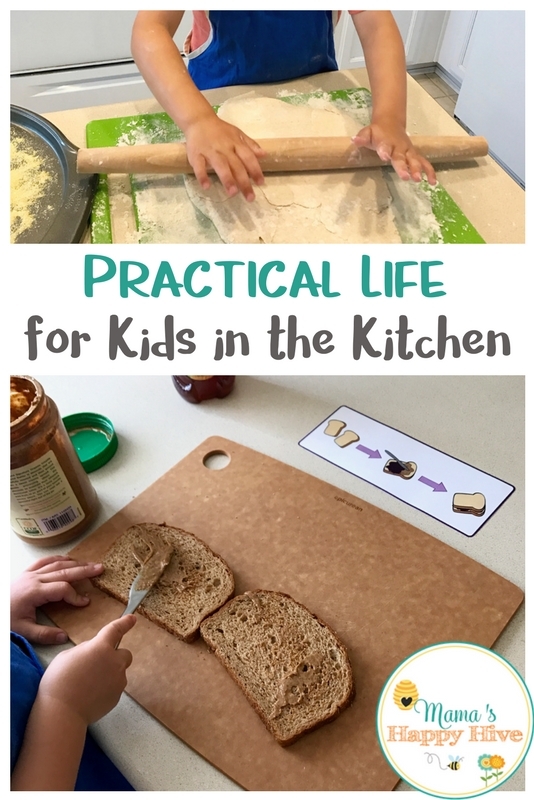 I hope these "Practical Life for Kids in the Kitchen" tips are helpful for you. 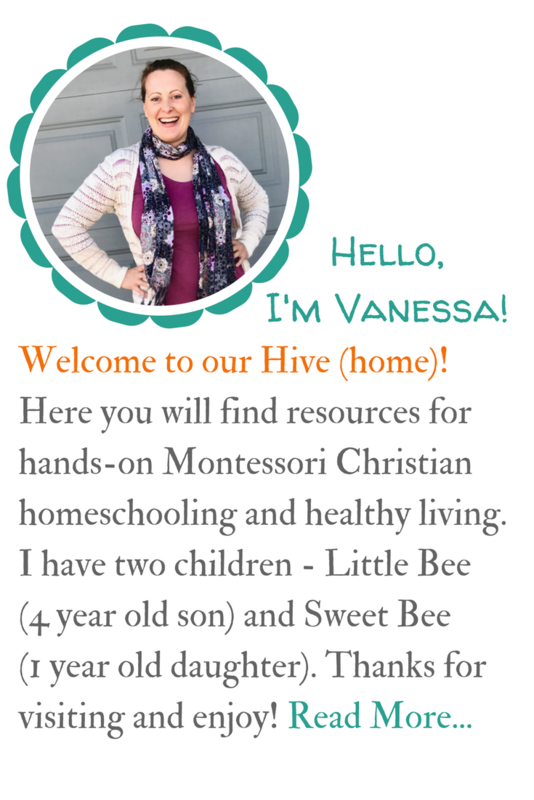 Please leave a comment or email me if you have any questions.